Make the Most of Every Meeting! If only businesses put time and energy into training executives to maximize meeting time and make them as productive as possible! Unfortunately, that’s not the way it works. Meetings have a bad reputation, often deserved. Very little is accomplished and attendees often walk away annoyed (or even angry) that they wasted valuable time. They’re not the only ones who squandered their time and resources. Companies fare no better. It’s a financial and time drain to tie up people in a room for any length of time. On the other hand, if handled correctly, meetings serve an important function and are often key to the success of a company. They are an ideal time to brainstorm and make collaborative decisions. And that’s not all – meetings provide a forum where strategies are formulated and decisions are made on how to achieve them. By setting goals and establishing the outcome ahead of time, a meeting can function at a high level and be productive. Meeting attendees will feel appreciated and the company benefits from the high level thinking and the creativity resulting from the meeting. Bring in the group that can accomplish the task. Once key decisions have been made, it makes sense to bring in a larger group to be introduced to the strategy. This can be as many as 25-40 participants. Once everyone is familiar with the assignment, the group can break into teams and execute the ideas. Create an agenda. It sets the tone for the meeting. Meeting attendees are more likely to take the meeting seriously when they know the planning behind it. They also are more likely to be active participants. 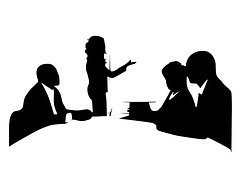 Suggestion: before the meeting, ask attendees for discussion points to make sure that their pertinent points are discussed and to gain their buy in. Send the agenda and material you want read ahead of time and as early as possible. Be clear about location, date, time and objective of the meeting. Use specific verbs. For example, instead of discussing next year’s trade shows, make the agenda item measurable and specific such as: “choose three trade shows.” Do you want participants to read additional material before the meeting? Tell them so they will have a chance to prepare, thereby reducing wasted time during the meeting. If the meeting is short, skip the attachment and include the agenda in the email. Even if the documents are not thoroughly read, meeting attendees will probably scan the agenda while the email is open whereas they are less likely to click on an attachment. Start the meeting on time. When a meeting starts late it is usually because attendees – often decision makers — are not on time. Now everyone’s schedule is thrown off. Use the agenda as a roadmap to stay on track. Do not ignore it. Refer to it throughout the meeting, especially if someone brings up an item that is not on the agenda. When a meeting attendee goes off-topic, the person running the meeting needs to take charge of the situation immediately. Tip: Schedule the most important items first when meeting attendees tend to pay closer attention. Allocate a specific amount of time to each agenda item. This will help keep the meeting moving and will prevent subjects from dragging on longer than they should. Does this mean you can never discuss something that is not on the agenda? No, but it is an opportunity to stop the discussion and refer to the purpose of the meeting. Ask if the topic should be discussed now or perhaps should be tabled for another time. With an agenda, it will be obvious where to pick up if the meeting does become side-tracked. 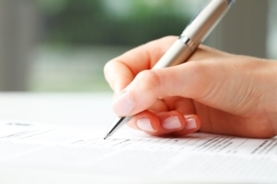 Before moving on to the next agenda item, make sure that the topic has been sufficiently covered. Ask if there are additional comments before closing out the subject. Attendees will feel that their thoughts are appreciated. End the meeting on time. If not, meeting attendees will be very unhappy — now they have to scramble to recover lost time and get back on track to accomplish the tasks they set out to do that day. Nor does the company fare well. Just imagine the cost of bringing together several executives for an hour’s time! Your meetings will be successful and productive (and attendees will be most appreciative) if you follow these suggestions: 1) invite key executives who will make decisions; 2) create a clear agenda with times allocated to each topic; 3) start the meeting on time; 4) stick to the topics and 5) end the meeting when you say you will. You may have guessed it — they are essential organizing tools that sit on the top of your desk within arm’s reach and help you efficiently plan and manage your work day. These work tools will help you focus on the task at hand and help improve your productivity. Each one is used often and needs to be within reach. 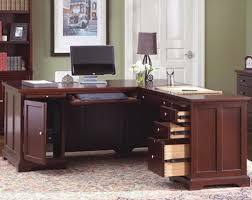 Everything else, such as paper clutter and miscellaneous items, are distractions and should be moved. Task List: A to-do list is a must. This is your #1 work tool. If you don’t do anything else, update and check it several times a day, at least. It doesn’t matter if it is paper or electronic. What does count is a dependable system that keeps all tasks in one place and handy. Tip: some people like to print it out if it is electronic. When you think of a task, enter it immediately so it doesn’t take up space in your head. And forget about grabbing a sticky note or the back of an envelope. Sticky notes don’t always adhere and the back of an envelope is known to disappear when you need to return a client call and can no longer find the number. Once the task is written down in the same place as all of the others, it is reassuring to know that the task will not be forgotten. And what a great feeling to ü a task once it’s completed. Note: Some prefer to use a calendar as a combination task list and calendar. That way tasks are designated to a certain date and time and are less likely to fall through the cracks. Statistics show that there is a 75 percent greater chance of a task being completed if it is scheduled on the calendar rather than in your task list according to Sally McGhee in “Take Back Your Life!.” As long as there is a system in place that you are comfortable with and can count on, it does not matter if you use a separate calendar and to-do list or combine them. When we interviewed 75 productive and organized executives, we discovered that all of them use and depend on to-do lists. It was one of the systems that they had in common. While they set up the lists differently (that was to be expected), each one told us that it helps their productivity to use a to-do list. Tip: Decide the two or three to-dos that must be done that day. Brian Tracy from “Eat That Frog” calls these your MITs, Most Important Tasks. While there are many more tasks that you would like to accomplish, concentrate first on the ones you identified and get them done. One of these tasks must be related to your goals. Then you can move on to other tasks. At the end of the day, it will feel good knowing that you focused your time and energy on the tasks that matter. Calendar: As soon as you know about a meeting, add it to the calendar pronto! That goes for personal and business meetings. One calendar is all you need. Otherwise, it is too easy to miss an appointment because it wasn’t in the calendar you were looking at. In Microsoft Outlook, you have the ability to color-code appointments to differentiate personal from business. One quick glance at the calendar and you know your schedule for the day. Active Projects: What are your current projects? Reserve the organizing unit on your desk for these projects and for reference materials such as a company directory. Keep other projects in your working files drawer close by. Telephone: Keep a phone log or spiral notebook beside your phone to use as a record of voice mail messages. Or, record the information into a to-do list on your computer that synchs with your cell phone for easy callbacks. If the caller is someone you will need to call again, take a minute and add the information to your contact list. The next time the person calls, their ID will come up and you can decide whether to take the call. Supplies: Keep a few items and move the rest to the supply closet or an extra drawer. Save your desktop space for more important items. Personal Items: Of course, a few photographs or mementoes are a given. They will remind you why you are working and give you a good reason to go home at night. But, only a few. What’s on the top of your desk? Are they going to help you stay productive and efficient throughout the day? We’ve all heard it: Americans are sleep deprived. Recently I listened to a sleep expert address sleep deprivation and decided I must learn more about the topic. I must confess: I am the poster child for sleep disorders. Not the medical kind – called sleep apnea. Just the kind that manifests itself with a cycle of falling asleep and waking up a few hours later one night, not being able to sleep the next night, and no defined “sleeping times”. Admit it — you know what I’m talking about. So, here is what I learned. Many Americans seem to thrive on the fact that we can “get by” with so little sleep. We talk about it too! In every elevator in every office building we overhear, “OMG – I worked so late last night answering emails from my important client in Japan and with the time change, I only got 4 hours of sleep, but that is about the standard for me today” while holding a giant cup of coffee in hand. Often we wear this fact like a badge of importance or pride. Why are we, productivity and efficiency consultants, writing about sleep? We certainly value time management and tout the benefits of effective calendaring, project and task management, etc. However, we also know that good health impacts overall success. When we interviewed successful, productive executives and professionals many stated making time for exercise and putting a priority on good health was an important factor in their success. What are the causes for sleep deprivation? Lots of reasons: caffeine, watching the late night news, stress, and technology. We seem to have problems “turning off.” Many of our clients say the only time they have time to deal with the emails is after the rest of the family has gone to bed. We sleep with our cell phones next to our beds. 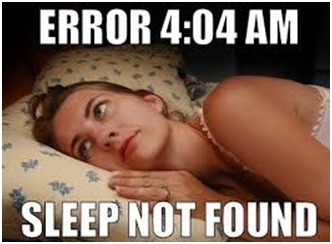 Yesterday a friend told me she was up at 4 AM as she had received a text message – that was sent in error no less – and it woke her. When I asked why she didn’t turn off that alert at night, she said she might get an important text! That’s crazy. If there is an emergency in the middle of the night, and we hope there is not, chances are you will get a phone call — not a text. We don’t take sleep seriously; we don’t make it a priority. We don’t have a routine. We don’t have good sleeping habits. OK. No routine. No habit. The cost of sleep deprivation is enormous. In 2013 the country’s top sleep researchers and corporate leaders came together at the Corporate Sleep Health Summit, hosted by Harvard Medical School, to discuss the latest research and the impact of sleep deprivation on the American work force and corporate bottom-line. Lack of sleep affects the prefrontal cortex of the brain, the area that controls innovation, self-control and creativity. A 1999 study found that just 24 hours of sleep loss impairs innovative thinking and flexible decision making. Sleep Deprivation And Stress Are A Vicious Cycle. So our work lives are causing us to become stressed (eight in 10 Americans are stressed about their jobs), and in turn, we are less able to get our work done because we’re not getting enough sleep. One study found that 24 hours of sleep deprivation can significantly raise stress hormone levels. 24/7 Jobs Are Taking A Big Toll On Sleep Health. Changing work cultures and constant connection to smartphones and digital devices is wreaking havoc with many Americans’ sleep patterns. The cost of more flexible work schedules is that many of us find that we never really turn off, responding to emails past midnight and working through weekends and vacations. According to new sleep survey data presented at the Summit, 72 percent of American workers polled said that they sleep with their smartphones next to their beds in the on position, and 45 percent send emails and texts often or always right before they fall asleep at night. Today I spoke with two employees at a large law firm who shared the following: They receive an email from a partner stating that work must be done by early morning. They are expected to delegate the work – even in the middle of the night – so the partner’s request will be met. Then come early morning, the partner in question never acknowledges the request; it is expected that their requests will be met 24/7 without any additional thank you. “As a result of us being so connected, we’re not only having a negative effect on ourselves, but we’re having a profound effect on those with whom we work,” said Leslie Perlow, Harvard Business School professor and author of Sleeping With Your Smartphone, in a 2012 Harvard Business Review webinar. Now that you know the “cost” of sleep deprivation, try to get to sleep and in our next blog we will give you practical advice – from the experts – as to how you can learn to become a better sleeper. Good night!